This year marks the 20th anniversary of Dolly’s most beloved accomplishment, her Imagination Library, a book gifting program that has mailed more than 70 million free books to children all around the world. Dolly is quick to tell you that although her father, Lee Parton, was one of the most intelligent men she’s ever known, his inability to read was her inspiration for Imagination Library. The program was started in Sevier County, Tennessee, where Dolly was born and raised, and continues to touch the lives of children around the globe. Her father may have been unable to read the words “determination and generosity,” but his life certainly defined them. 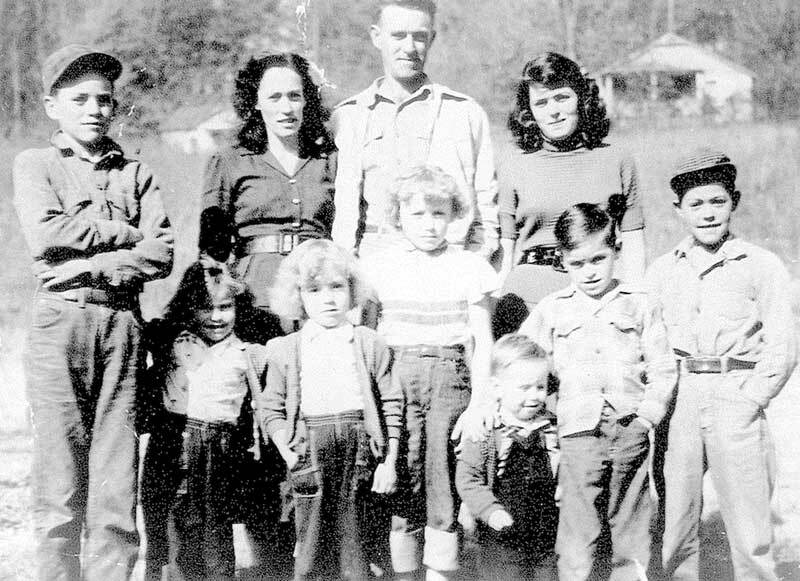 Each morning, he left for a hard day’s work in the mountains of East Tennessee carrying with him a green lunchbox that his children affectionately referred to as “Daddy’s dinner bucket.” When his weather-beaten hands opened up that box, his kind heart compelled him to save a portion of his lunch to share with his young children. When he returned home in the evenings, they were eager to greet him and see what he had saved for them. Oftentimes, it was part of a bologna sandwich or a piece of pie. To most people, a fragment of a sandwich and a stale piece of pie may not seem like much, but the children would take those tasty treats to a hideaway under a blackberry bush and have a picnic fit for a king. For years, that routine continued, day in and day out, as he worked tirelessly to provide for his wife and twelve children. On the day he finally retired, and with that same spirit of generosity, he gave his lunchbox away to another hardworking man, Oscar Dunn. Dolly’s younger brother, Randy, dropped by the studio and shared this wonderful memory with us for Father’s Day and sang a little bit of the “Dinner Bucket Song,” a song that Dolly had actually written about Mr. Lee’s dinner bucket. Many years later, with the dinner bucket being little more than a memory, the Parton family said goodbye to their beloved daddy who passed away just a few weeks before Christmas in 2000. He was laid to rest in the beautiful mountains he loved so dearly. It was a difficult Christmas for all of the kids after saying their final goodbyes to their daddy. Randy, Dolly’s younger brother, was in for a special surprise on that Christmas Eve. On that cold night in December, Randy’s wife Deb handed him a brown paper bag. He opened it and discovered one of the greatest gifts he had ever received…his daddy’s dinner bucket! He was overwhelmed with emotion. Unbeknownst to Randy, Deb had made arrangements with Oscar’s sweet wife Faye and son Grant to bring Mr. Lee’s lunchbox back home to the Parton family. Memories flooded his mind as he examined it closely. What he found, a surprise much sweeter than any piece of pie, was that his father had learned to write his name and had scratched it into the green paint on that old dinner bucket. Photo of Lee Parton's "Dinner Bucket." Special thanks to Randy Parton for sharing this story and allowing us to share a photo of this treasure with the world. Photo of Lee Parton's "Dinner Bucket" shows where he had scratched his name in the green paint. Tim and Mary Alice Lovelace are a husband/wife writing duo who enjoy co-writing songs, news articles, and short stories.